"Struggling to Build A Relationship With Your List?" Using my email swipes it will literally be as easy as copy and pasting my tried and tested high converting relationship building emails. You will never have to worry about what to send your fresh new subscribers, because I will be sending you one powerful perfectly crafted email each week designed specifically to build the relationship with your subscriber base and turn them into massive fans that like you, respect you and buy things you recommend. "Simple as Copy and Paste"
All you have to do with these emails is load them into your autoresponder and then as people sign up to your list it automatically builds rapport and trust with your subscriber base. This removes the uncertainty that so many people experience when list building. "You Get Specially Crafted Emails"
If you don't have the time to take care to build a solid relationship with your list, then this is for you! 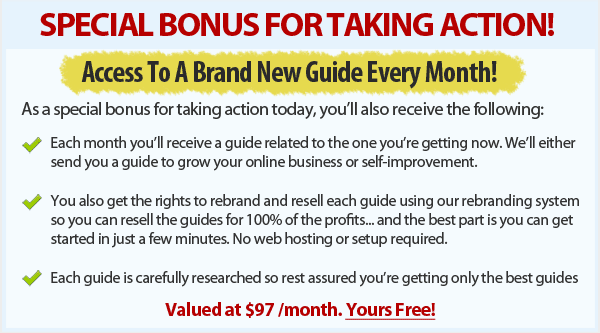 If you want to take a short cut in list building and get better results, then this is for you! Getting people onto your list is EASY. Building a lasting relationship with them is the tricky part. With this offer I take care of that. Let me help you out with this area. You will get a complete campaign of 16 ready to use email swipes that not only will build that know, like and trust relationship but is already monetized with a few of my high converting offers. Of course, you don't have to use my offers you can substitute for your own products or any other affiliate product you want. Get the whole campaign for just a $7 one-time payment. That's an insanely low price for this business building service. Anyone who knows me as a marketer knows that i value the relationship with my list, more than anything. I would *never* spam out to my list because the relationship is the most important area for me. And now you can profit from my experience and use one of my best campaigns as your own! Yes! 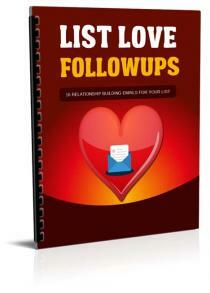 I want instant access to List Love Followups Today!